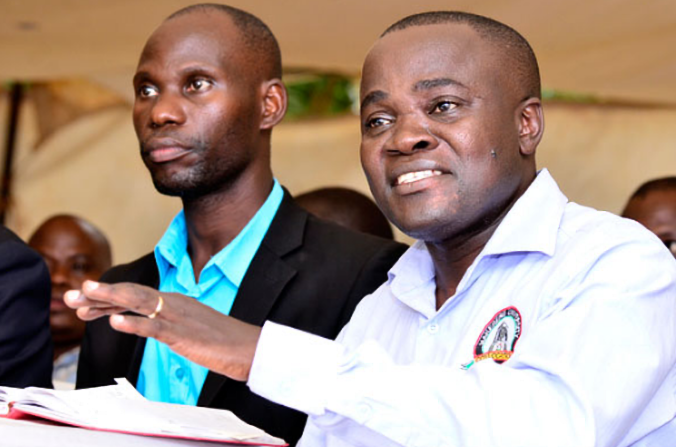 MAKERERE – Teaching and non-teaching staff in public universities in Uganda have condemned the suspension of the chairperson of Makerere University Academic Staff Association (MUASA), Dr Deus Muhwezi Kamunyu, and called for the decision to be rescinded or else they take action. But in a strongly worded letter on January 18, the chairperson of the Forum for Academic Staff Association of Public Universities, Dr Grace Lubaale, said Dr Kamunyu’s suspension was shocking and asked the Education minister to intervene. “We have learnt with shock the suspension of Dr Deus Kamunyu Muhwezi, chairperson of Makerere University Academic Staff Association by the Vice Chancellor and we deeply condemn it in the strongest terms,” Dr Lubaale’s letter reads in part. “We ask the minister of Education and sports and chairperson of Makerere University Council to intervene in this endless suspension of staff at this great institution immediately. All staff are encouraged to be alert and in the event of no good response, we shall reconvene for appropriate action in defending rights of staff and associations,” he added. Mr Jackson Betihamah, the chairperson of Public Universities Non-Teaching Staff Executive Forum, said they are ready to fight what he described as Prof Nawangwe’s dictatorship. He said as leaders from different public universities, they have already issued an ultimatum to the university leaders, and warned that they will never allow dictatorship to thrive in public universities anywhere in this country. “We shall not watch this to happen because we know if we allow this to happen in Makerere it will spread over and we must join all our staff colleagues to make sure that sanity retunes in Makerere. We have given them an ultimatum of two weeks and we expect them to solve that problem. Once that problem is not solved, we are calling our general assemblies to take a decision. Prof Nawangwe’s move to suspend Dr Kamunyu also indicates his resolve to continue fighting what he described as impunity and indiscipline among staff at the university. In December, he sacked over 40 staff for different reasons ranging from absconding from duty to insubordination among others. The dismissed staff have since petitioned the Speaker of Parliament over the matter. While presiding over the university’s 69th graduation ceremony on Tuesday, President Museveni praised the Vice Chancellor for reining in on errant staff.